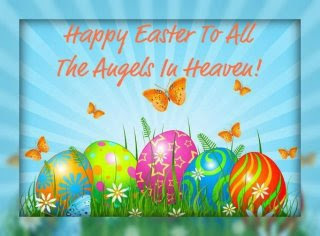 Happy Easter to all of our Angels in Heaven! Christi, the holidays are so hard without you! 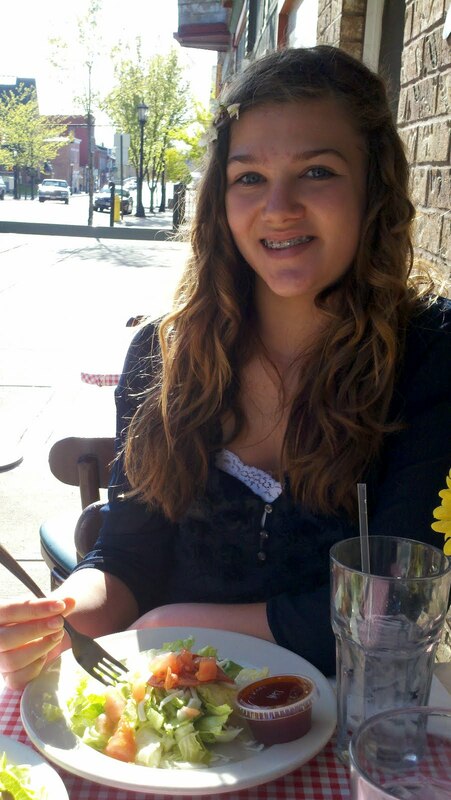 We miss you so much! Heaven gained a wonderful angel on Thursday! 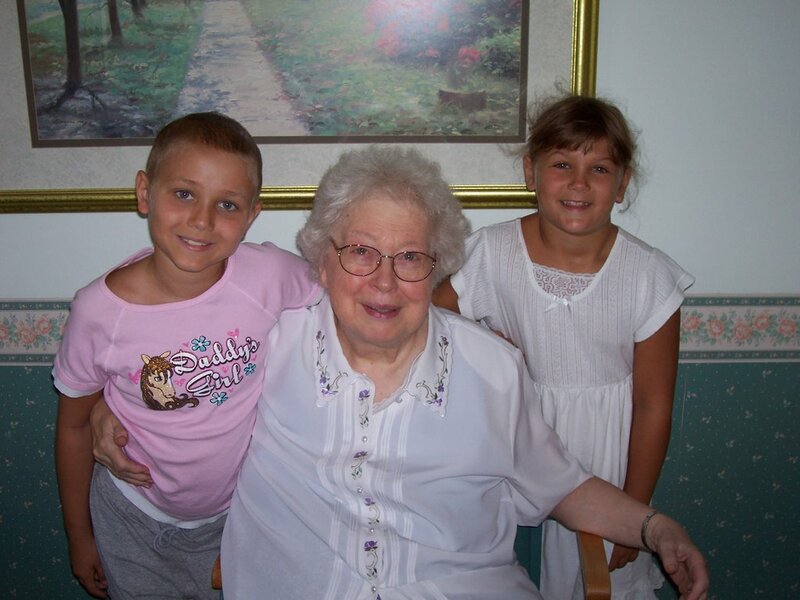 May my great aunt, Sister Mary Alice (a nun) rest in peace and enjoy eternal life. I can't think of anyone more deserving! (Picture: Christi visiting Sister at the convent, weeks before she died, July 2006. May they be together again playing board games and doing crafts in a MUCH better place. Fly high, angels!) 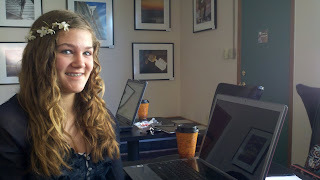 Shayla was worried I was sad and I told her I was only sad because Sister Mary Alice was so sweet and loved animals and children so much that I wouldn't get to be a part of that here, but I told her I was actually very, very happy because she is now with her mom and dad and five sisters, including grandma! I told her I felt like making it to Heaven was Sister Mary Alice's goal, her whole life, and now I know she's there and I'm actually quite happy about that. I'm looking forward to having my sister, nephew and mom with us for a couple of days and of course seeing all of my relatives at the funeral and visitation. Christi's 6th Annual Easter Egg Hunt, held on the campus of Tiffin University, was of course bittersweet, but a wonderful event! It was great to see everyone and Tiffin University did a great job with the organization. We are happy to sponsor the event with a nice donation because we know how much joy it brought Christi over the years. We had a lovely day in town yesterday, spending a few hours in our new favorite coffee shop "Bailiwicks" working on that project which will probably take us three years to finish, but one we set a goal of doing and also walking to the video store (to get resource material for our project) and having dinner on the sidewalk at Reinos before heading home. We sure love our little town! Happy Easter, everyone! He is Risen! 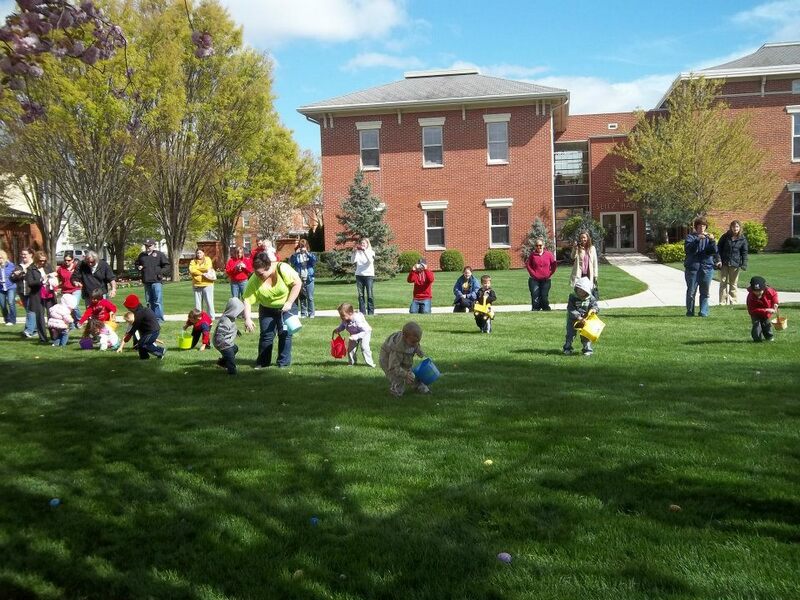 Of course it was bittersweet, but we thought the egg hunt was wonderful! It was great to see so many people and the weather could not have been better. 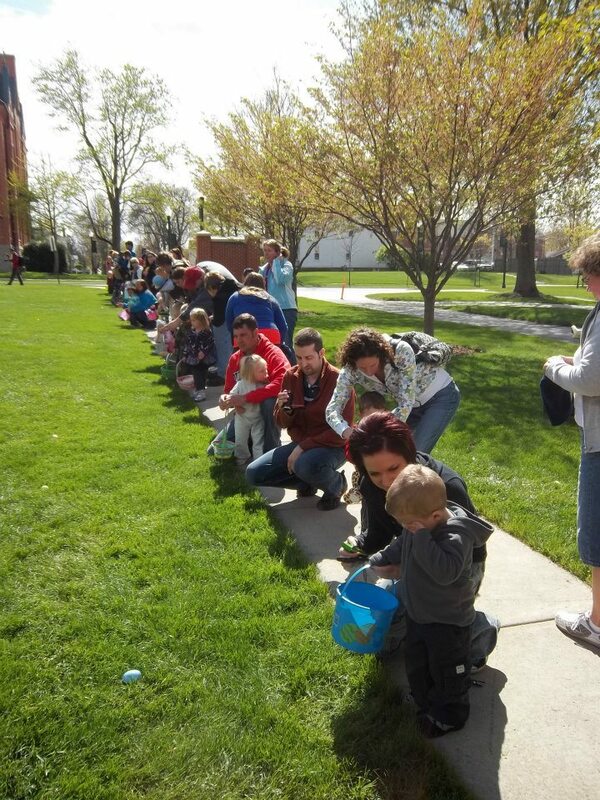 Tiffin Univeristy's campus looked absolutely gorgeous and we would like to thank all who helped make it a success! We are certain Christi would have been proud! Happy Easter to all! 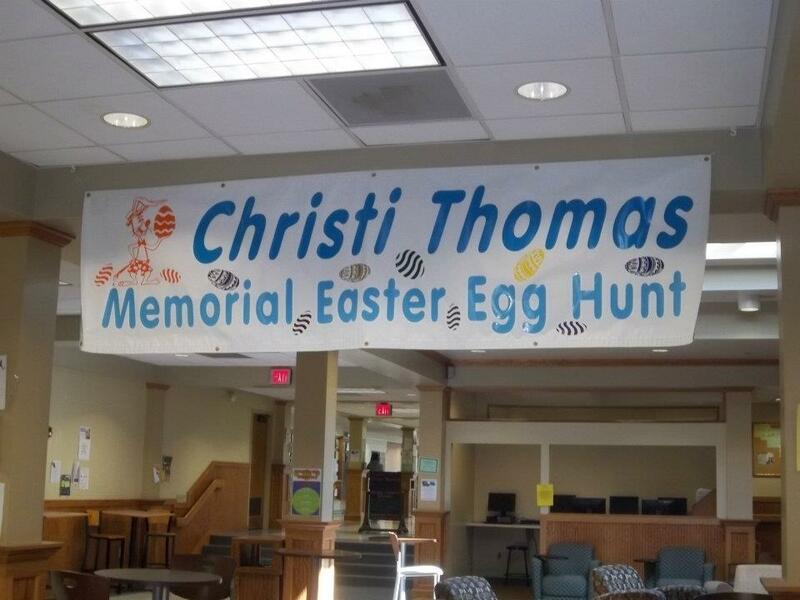 Please grab the little ones and join us for the 6th annual Christi Thomas Memorial Egg Hunt. This will be held on Thursday, beginning at 3:30pm on the campus of Tiffin Univeristy. 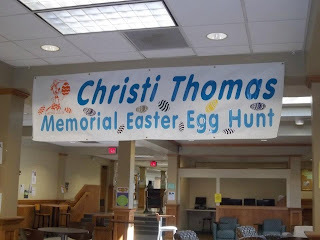 We are happy to sponsor this event, in Christi's memory, because we remember how very much Christi loved going to egg hunts. Children are asked to meet in Osceola Theatre. We pray for great weather and we hope to see you there!